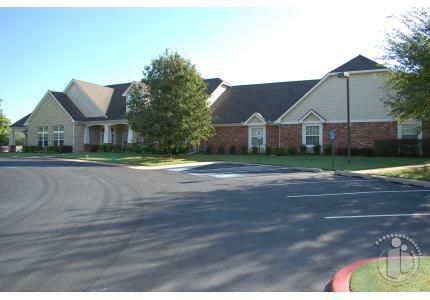 Sterling House of Tulsa South provides our residents with lifestyles, housing, care and services in comfortable surroundings combined with exceptional amenities, programs and care. Through Brookdale’s signature Personalized Assisted Living we customize our care offerings for the individual. This allows each resident the freedom and opportunity to make choices that will ease their lifestyle transitions. Our residents enjoy life with the support they need, coupled with the appropriate accommodations as their needs change. We promise Respect for Individual Preferences by offering personalized care needs and providing an atmosphere that encourages each resident to live in health and longevity. We also offer special housing and care options for those who require assistance with the activities of daily living such as dressing, bathing and dispensing of medications. Our community offers graduated levels of care based upon the individual need of residents, as determined by our continual assessment process. We are dedicated to enriching the lives of our residents every day with signature services for those who value their freedom and independence, but desire or need services providing them with the highest level of quality, care and value. ALL DIRECT CARE STAFF TO HOLD A MINIMUM OF A CERTIFIED NURSING ASSISTANT'S LICENSE. MEDICATION ADMINISTRATION STAFF TO HOLD A MINIMUM OF A MEDICATION ADMINISTRATION TECHNICIAN'S LICENSE. HEALTHCARE COORDINATOR TO HOLD A MINIMUM OF A LICENSED PRACTICAL NURSE'S LICENSE. STAFF ARE TRAINED TWICE MONTHLY ON A VARIETY OF ISSUES. MEDICATION TECHS RECEIVE ADDITIONAL 8 HOURS OF TRAINING YEARLY. ALL OTHER STAFF MAINTAIN A MINIMUM OF 16 HOUR CONTINUING EDUCATION YEARLY. RESIDENT'S WITH ADVACED ALZHEIMER'S DISEASE WHO ARE NO LONGER CAPABLE OF CONTINUING ACTIVITIES OF DAILY LIVING EVEN WITH ASSISTANCE. RESIDENTS WITH MEMORY CARE ISSUES ARE PROVIDED WITH A WIDE ARAY OF ACTIVITIES THAT ADDRESS THEIR SPECIAL NEEDS. WE ARE ACROSS THE STREET FROM MEADOWBROOK GOLF COURSE. BIBLE STUDY EVERY THURSDAY MORNING, AND THURSDAY EVENINGS. Seniors with Dementia support needs.